This tomato salad is may be our all-time favorite summer salad and is best when the vegetables are fresh, vine-ripened, and full of flavor. If you can manage a vine-ripened heirloom tomato, eating this salad may feel a little bit like Heaven. The first time I had this was 4th of July, sitting on a rooftop deck with a view of Lake Tahoe. Our hostess served this salad with barbecued chicken and corn on the cob. 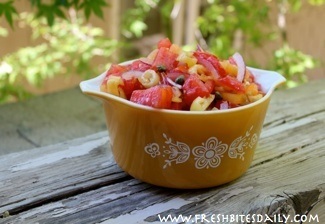 It was the perfect combination of food to showcase this simple and yet memorable tomato salad. It is great to use fine food to create memories for your loved ones. The basil adds great flavor to this tomato salad. Cut into ribbons, the basil adds great color contrast to the vegetables in the tomato salad. Check out the tomato salad video below. This video is part of our “vintage” collection which is our way of saying that the camera we used many years ago has long since been retired. 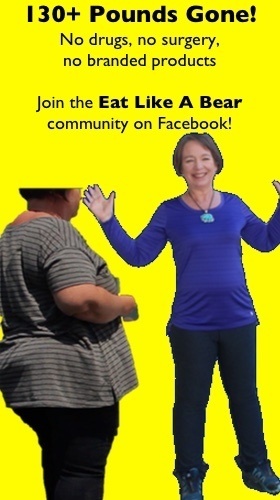 These are suggested proportions. Change any of this to fit your taste and the availability of produce. Add the rest of the ingredients and lightly but thoroughly toss. All the veggies should be well coated, but not bruised. You want them all to hold their shapes. This tomato salad is best if it can sit for an hour to blend the flavors. However, this particular tomato salad is most tasty if served on the day it is made. Refrigeration dulls the flavors and the textures in the salad begin to break down. The bright, robust nature of this tomato salad make it a perfect accompaniment for beef and chicken. It is a fantastic topping on a plateful of quinoa or bulgur as well. 3 Comments on "If you can manage a vine-ripened heirloom tomato, eating this salad may feel a little bit like Heaven"
Would that be 1/2 (cup) olive oil? I’m sure certainly its not because that was the other ingredients will be swimming in olive oil. I guess, its half tablespoon. 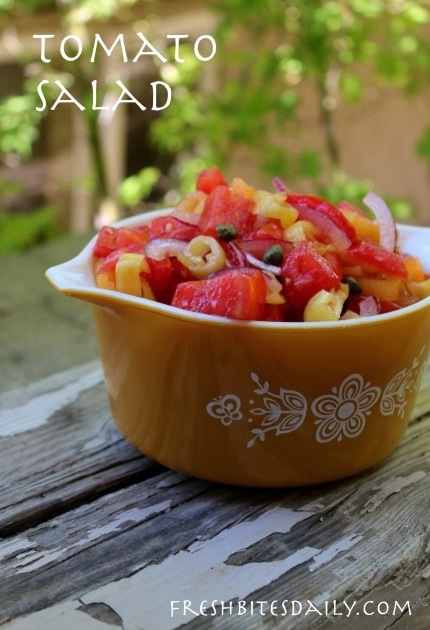 I’ve never tried tomato salad with so many ingredients so this salad sounds tangy and great. In the video it looks like she adds a tablespoon or two of olive oil. The video and the recipe aren’t the same. No garlic, a lot more peppers, plus olives. I’m sure it could be delicious with whatever you have.